Ostermayer Bayou, a 45-acre property on the Texas coast, had been on the conservation radar for West Galveston since 2007, when a community greenprint identified the site as a high priority for protection. In August 2010, The Trust for Public Land purchased the property. In September, TPL turned the land over to the county's department of parks and senior services. 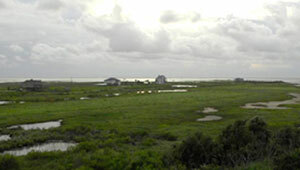 One of Galveston's few remaining areas of intact marshes and uplands, the land is home to many of the shorebirds and wading birds that make the island nationally famous among birders. Ostermayer Bayou is also part of the effort to protect the commercial value of Galveston Bay, one of the country's top sites for commercial oyster production and seafood.